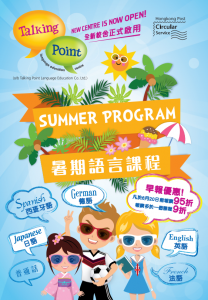 TALKING POINT offers high quality language learning courses to all ages. Learning languages at Talking Point is fun because interactive teaching methods and interesting games are used. Students are more motivated to learn in a relaxed environment. Class sizes are small (4-6 students). Hence, students can benefit from close attention and immediate support from their teacher. All teachers are native speaking professionals with English teaching qualifications and experience. Other foreign language courses such as Putonghua, French, Spanish, Japanese, etc. 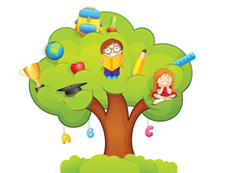 All language courses are divided into different levels for kids in different ages or even adults.